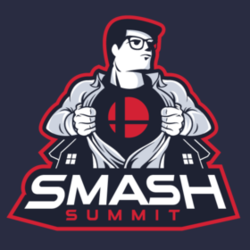 Smash Summit 6 was a national Super Smash Bros. Melee invitational tournament and the sixth installment of the Smash Summit tournament series, held on May 3rd-6th, 2018. Like previous Smash Summits, it was held at the Summit gaming house, a private residence house in Los Angeles, California, and was closed to the general public. Anyone ranked in the 2017 SSBMRank Top 100 and those who placed Top 64 (49th or better) at GENESIS 5 or Top 32 (25th or better) at either EGLX 2018 or Full Bloom 4 were eligible to be nominated. 111 players were eligible, which was 35 less than Smash Summit 5’s number of eligible players. The 20 players with the most Twitter nominations progressed to the voting phase. Westballz forfeited after losing his 4th character. Zain's third-place finish marks the highest ever placing by a voted-in player at any Smash Summit event to date. The record was previously held by Duck, who placed seventh at Smash Summit 3, and ChuDat, who placed seventh at Smash Summit Spring 2017. In addition, aMSa placed seventh at this event, which would have added a third tie to the previous record. This is the first Smash Summit that S2J did not participate in after being voted in every single Smash Summit previously. This page was last edited on March 10, 2019, at 15:40.